Saying no to a Possum Infestation! Research shows that possum faeces contain bacteria that can cause flesh-eating ulcers. Exposure to their faeces can leave a person with a long-term functional disability. It is illegal to kill a possum, therefore when tackling a possum infestation you need to observe the utmost care. 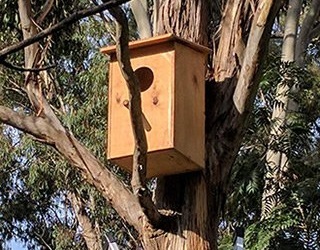 When it comes to possum control in Melbourne, the above 3 facts are perhaps the most important things you need to keep in mind. Now, this doesn't mean that you are doomed! There is hope! They are the worst kind of pest to have. They cause damage to your home as well as your health with the smell of their urine and faeces. their stand on their 2 feet and bare their teeth. or they play dead by lying on the floor. And in both situations, any person wouldn't know what to expect next or what to do from there on. And you can imagine if this situation is hard to tackle for a regular person just how difficult it might be if you have pregnant women/old people/ children/ pets in your family. Having vulnerable immunity systems, they can develop great health complications. Do you really want to take that risk? Rooftops and ceiling voids. They tend to build their nests there and find their way around the house. Near furniture to your electrical and cable wires, causing damages that will truly burn holes in your pockets. There have been many instances of infestation leading to nasty fires. Oh and let's not forget the pets! They can be a real pain for your pet to deal with. While small, they are quite aggressive in nature and can keep your pet up at night in a battle of grunting, hissing, howling and screeching. What's worse is that being from the wild, they tend to carry ticks and fleas and leave no stone unturned to transfer it to your pet. Long story short, not only do you have to handle the destruction caused by them living in your home you also will have on hand the damage caused by an anxiety-stricken pet. And that's not even including the problem you will have thanks to the bacteria they bring along with them. Yes, you read right, as a host, possums also carry germs that once inside your home, spread diseases that you wouldn't want yourself or your kids to be exposed to. Not to mention the disaster that will strike if they defecate or urinate into your water supply! Yes, that does seem like a lot to deal with! Like its name suggests this type gets its name on account of its obviously furry tail and is native to Australia. As a nocturnal animal, it can easily find its way around in the dark. 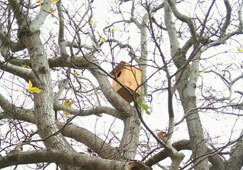 Part of this is linked to other distinctive traits like how it lives among trees as well as on the ground. Its diet consists mainly of leaves especially eucalyptus leaves, and sometimes small mammals like rats. 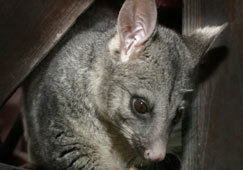 This species is the second largest among possums and can be spotted in silver-grey, brown, black and gold colour variations. Another noticeable feature is their tail’s ability to grasp and aid them as they swing from tree to tree. This species is grey in colour with a cream-coloured stomach and white patches under the eyes. They too have a prehensile tail and use it to grasp for better mobility, however, the tail has a noticeable white tip that occupies nearly a quarter of the tail’s length. The ringtail possum has sharp molars with pointed cusps, making them scarier when they bare their teeth. These creatures weigh anywhere from 550-1100 gms and are about 30-35 cm long (excluding the length of their tail). So now the real question is why deal with it when you can put an end to the Possum Problem? 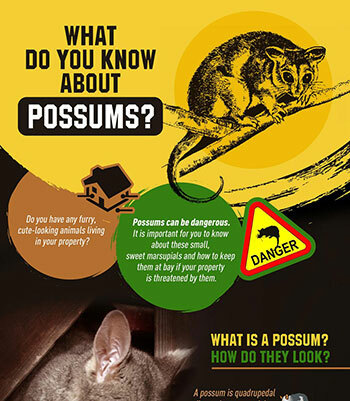 Now, they are a protected species by the Australian government and so possum pest control in Melbourne requires them to be removed from your residence and released within 50 meters or on the property itself. Hence it is important to block any entry points especially the roof. And this is only to avoid a future problem, but what of the existing family? 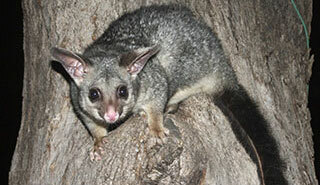 Possum removal in Melbourne should be done with care and caution. That's where we come in. Our professional team of trained individuals certified by the HACCP is brought to you by a company with 26 years of experience. 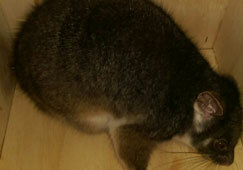 Possum removal is tricky and needs to be taken care of in a way that doesn't pull you into legal matters. 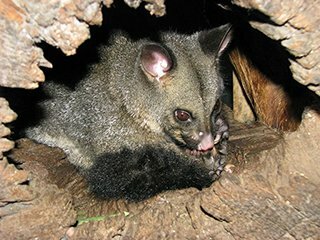 We also have a dedicated research and development team that has especially invested in an extensive study to understand their nature and behavioural habits and to come up with an effective and environment-friendly method of getting rid of possums from your house. Possum removal requires skill, intelligence, and experience. How do you protect yourself and your loved ones from the pest that is protected by government laws? Possums are a protected species and hence it is not legal to actually poison them no matter how much of a nuisance they are to you. However, there are cases where they die due to consuming rabbit bait, collision or attack by a dog/cat and can be caught in the roof or another part. Sometimes the carcass could also be behind a wall. In such scenarios, it can be difficult to locate the carcass. 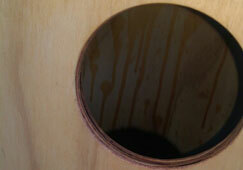 The first sign, of course, is a foul stench that can last up to 2 months and the accumulation of flies. You will need to call for a professional who will locate and get rid of the carcass while causing the least amount of damage to your residence and expense for you. Secondly, he will deodorize the area with an eco-friendly deodorant to get rid of the stench. Do they have the same day possum control service (normally)? Is their experience in dealing with possum control at least over 20 years? Do they have full accreditation and licensing for possum control in Melbourne services from the Victorian government? Do they make use of up-to-date non-destructive possum control technology? Do they have a specialised division for inspections, reports, and treatments for possums? Is their work of getting rid of possums backed by a guarantee? 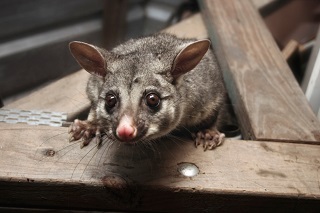 Most importantly, possums are a protected species but your safety matters too along with the environment do they offer natural and legal treatments for getting rid of possums to protect you, your family and the environment? So call us today for same day service that gives you an effective solution for your possum related problems. And if they return, so do we for FREE! We had an issue with pest at our shop. The guys at Protech have been extremely helpful in solving our problem. The response & action time was fast, they have very experienced pest control operators. Highly recommend Protech Pest Control for their service, expertise, passion & great value for money. Thank you to the team at Protech Pest Control & Muzie. You saved our business.